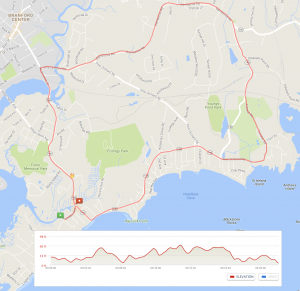 The 2018 Hammerfest Triathlon will be Sunday, September 15th! Whether you’re a “newbie” or a wily veteran of triathlons, as you face Long Island Sound and wait for the starting gun to sound, you’re thinking, “Why am I doing this? I could be home sleeping or having a leisurely Sunday breakfast.” You emerge from the .5 mile swim, jump on your bike for 13.5 miles and the next thing you know, you’re crossing the finish line of the Hammerfest Triathlon after completing the 3.7-mile run. Exuberance, satisfaction, confidence and the elation only a triathlon’s fatigue can bring. But best of all, your efforts have helped Brian’s Hope get just a little closer to fulfilling its mission of stopping the progression of ALD.And so it goes and has gone for some 20 years now – the Hammerfest Triathlon staged in September at the beautiful Owenego Club located in Branford, Connecticut. As you mill about, enjoying the post-race barbecue and talking with fellow athletes and friends, you just can’t help thinking that at the heart of all this is Brian Kelley’s courage and inspiration, and his family’s unwavering commitment to help others afflicted by ALD, to stop its progression and provide hope to all it befalls. And your participation in Hammerfest embodies that commitment and spreads the ripples of that hope just a little bit further outward. See you at the starting line.NOTE: Field is limited to 300. Register early for a slot and a discount. Race day registration may not be available. Check the website prior to race day regarding possible Saturday check-in. Kick off the first leg with a 1/2 mile swim in front of the Owenego. Then, you’re off on a 13.5-mile bike ride, followed by a 3.7-mile run. 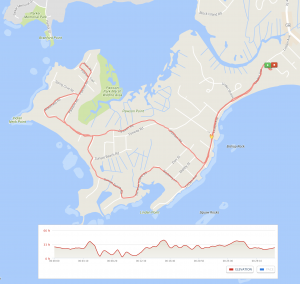 The cycling and running routes are shown below. Folks who have participated consider it to be a flat and fast course. Hammerfest 2017 raised almost $70,000! A national campaign to broaden the awareness of ALD, including the signs and symptoms. A nationwide initiative to add ALD newborn screening to each state’s protocol. Research at the Kennedy Krieger Institute, which we hope will be going to a clinical trial. These efforts have a direct, personal and vital impact on ALD patients and their families.We look forward to Hammerfest 2018, and can’t wait to see you there! Inspired by Brian, and in celebrating the values embraced by Brian, Lorenzo, the Odones and all whose lives have been taken or are affected by ALD, the organizers of the race pledge their support to Brian’s Hope. Massey’s Plate Glass and Aluminum, Inc.